Out of all types of pains that our body experience, sensitive tooth pain is one that is really hard bear. The situation worsens, when (in most cases) the toothache gets so severe that it leads to the spreading of the pain in your mouth, neck and the ears (which is otherwise one of the other sensitive portions of your body). Not sure, if you have ever experienced toothache, but as far as my experience is concerned, I have experienced severe teeth pain and I know how painful it gets sometime. But the best thing about sensitive tooth pain is that it can be cured very fast using some simple and natural remedies and that’s what we are going to discuss in today’s post. Today I am sharing a few of the most effective and easy to implement sensitive tooth pain remedies that will help you to treat tooth pain fast and easily. As I said, severe tooth pain can be really unbearable, especially when toothache has triggered earache as well. When you have severe toothache, you won’t feel like eating, even if you are hungry. And, what is more dangerous is, if the tooth pain stays for too long, it may slowly take the shape of an infection as well which is even worse and will take more time to get treated. In serious cases of toothache, you must rush to your nearby clinic for immediate medical help. But, many a times the toothache can happen suddenly during the night or the pain may be so unbearable that you are not in a state to even get ready and rush to the doctor. And that is when you can try these quick and simple remedies and get fast relief. These remedies are easy to apply and it requires simple and natural ingredients that may be readily available in your kitchen. I have tried these home remedies to relieve sensitive tooth pain many times and you can try these too to treat mild toothache and also use them on emergency situations. What are the causes and symptoms of toothache? Toothache occurs mostly if you have got sensitive teeth but what leads to so much of tooth sensitivity? I think it is important for us to know the factors leading to it in order to avoid it and handle the pain better. Now, that you have known about the causes of toothache, it is important to know the symptoms of sensitive teeth. This is important because if you identify the symptoms of toothache, then you will be able to take proper protection from before and prevent the toothache. 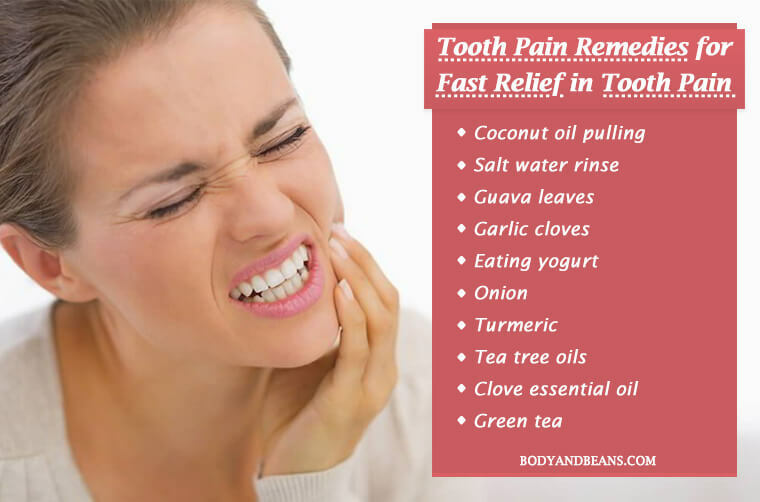 Tooth pain is something which we all have experienced some time or the other and it is important to know about ways to treat the pain using easily available natural ingredients and get quick relief. So, without wasting much time, let us begin with the natural home remedies to relieve sensitive tooth pain fast and easily. Science and medicine have come a long way. Today we have medicines for almost every health complication that we experience. But, we cannot ignore the fact that nature has gifted us with many ingredients that has got natural therapeutic potential, which if used properly, can treat many of your health and beauty concerns and your problem of tooth pain is no exception to it. Coconut oil is a widely available ingredient and it is found in every household, so the first remedy that I would like to recommend you is coconut oil pulling. Studies have already shown coconut oil pulling to have huge benefits especially when it comes to oral hygiene and it will be equally effective against toothache. It is mainly the anti-inflammatory and analgesic properties of coconut oil that will help you eliminate sensitive tooth pain. So, whenever you experience toothache, do not forget to try out the coconut oil pulling remedy. Take around 1 tablespoon of coconut oil and swish it in your mouth for around 15-20 minutes. After that, spit the coconut oil out of your mouth and brush your teeth properly. Do this on a daily basis every morning to avoid and prevent frequent occurrences of sensitive tooth pain. One of the best natural remedies to relieve sensitive tooth pain fast and easily is to use salt water rinse. Salt is always available in your kitchen and so using salt water rinse will not be a problem whenever you experience any kind of tooth pain. The reason why salt is so effective in relieving toothache is because it is a natural antiseptic that has got anti-inflammatory properties as well and hence it will effectively help you reduce the toothache. Take a glass of warm water and add around half teaspoon of salt in it. Mix it well and then use the solution to rinse your mouth. This will keep your mouth clean and will also reduce the tooth pain fast. Do this remedy two times on a regular basis for to get maximum benefits in reducing toothache. If you experience frequent toothaches due to the demineralization of your tooth enamel, then yogurt is the perfect remedy for you to go for. This is because as per study, yogurt possess inhibitory effects on dental mineralization and hence it will be very effective in fighting the problem of tooth sensitivity and its accompanying symptoms. Take a bowl and half fill it with plain yogurt and now consume it. If you eat it once on a daily basis, you will be able to fight tooth sensitivity really well. The leaves of the nutritious fruit guava contains flavonoids like quercetin and rutin that has anti-inflammatory properties which in turn, can help in reducing the sensitive tooth pain very fast. So, if you are experiencing toothache and looking for one quick and simple remedy, then you should try out this guava leaves remedy. Take a few guava leaves and wash them thoroughly. Now, chew the leaves for around 1-2 minutes and then spit out. Do this 1-2 times daily to get fast relief in toothache. You may not be a fan of the pungent smell of garlic but when it comes to oral benefits, using garlic cloves is one of the best natural home remedies to relieve sensitive tooth pain. There are two strong reasons behind it. Firstly, studies have shown the garlic to have anti-microbial and anti-inflammatory properties which will help you in easing the pain really well. Secondly, garlic has also been proven to be very effective in controlling oral pathogens which will not just reduce the toothaches but will also help in treating several other oral problems. Take 1 garlic clove and crush it well. Then add a pinch of salt and few drops of water in it. Mix the ingredients well and then apply the paste on affected tooth. Let it stay for around 10-15 minutes and then wash your mouth thoroughly with normal water. This is a great remedy for tooth pain and doing it at least one time on a daily basis will give you extraordinary benefits. Another pungent smelling ingredient but with great oral benefits is onion. It is greatly beneficial in easing tooth pain, thanks to its anti-inflammatory and anti-microbial nature which helps fight the oral pathogens as well as reduce the inflammation and the pain around the affected tooth and its surrounding area. So, don’t forget to add onion in your list of options when it comes to relieving sensitive tooth pain. Take a small piece of onion and chew it for few minutes. This will effectively reduce the pain. Alternatively, you can also place the onion piece around your affected tooth and gums and let it stay for 10-12 minutes. Both the remedies are very effective and when you apply these remedies once or twice regularly, it will ease out sensitive tooth pain very quickly. Honey contains therapeutic properties and has been used in treating several health complications. It has been proven to be great in wound management and it is also a great anti-microbial agent which will benefit a lot and help in the reduction of the swelling and pain on your affected tooth and will eventually lead to speedy recovery. So, I want you guys to definitely give this remedy a try. Take a cup of warm water and add some honey to it. Now, rinse your mouth properly with honey water for few minutes and then spit it out. Doing this regularly will lead to fast dental wound healing and ease out the tooth pain. Turmeric is very popular for its medicinal properties and has been in use for several health and beauty complications since ages and let me assure you that it is equally very essential for dental care as well. Mainly it is the curcumin in turmeric that as per studies is very vital for oral health. So, if you use turmeric, it will ease your tooth pain very fast and will also help in maintaining good dental health in general. You can simply massage ground turmeric on your affected tooth and it will give you good results but if you are under too much of pain and want to intensify the good effects then you may like to use a little salt and mustard oil along with turmeric. Basically, you will have to make a paste using 1 teaspoon turmeric, ½ teaspoon mustard oil and ½ teaspoon salt. Then apply this paste on affected tooth and gums daily twice for maximum benefits. Essential oils serve many of our health and beauty purposes and when it comes to treating toothache, there is one essential oil that is very effective and that is tea tree oil. It is mainly due to the anti-microbial and anti-inflammatory nature of tea tree oil which helps in fighting the pathogens, and reducing the swelling and the accompanying pain very effectively. Take around 3-4 drops of tea tree oil and mix it with 1 teaspoon of coconut oil. Now, apply the mixture on your affected tooth. Let it stay for around 5-10 minutes and then wash your mouth. Do this remedy 1-2 times daily to get maximum relief in toothache. However, while using this remedy, just be careful not to swallow the essential oil mixture. Talking about the effectiveness of essential oils on dental care, there is clove essential oil which is equally good for your oral health. Firstly, clove essential oil possesses analgesic properties that makes the affected tooth and the gums numb which in turn helps in quickly relieving you of your tooth pain. The other reason behind the importance of clove essential oil in dental care is because of its microbicide activities which is essential in killing the oral pathogens and providing dental care. The process of using clove essential oil is similar to that of using tea tree essential oil. You need around 6 drops of clove oil and 1 teaspoon of coconut oil. Mix the two and apply the mixture on your affected tooth and gums. Keep it for 5-10 minutes and then wash your mouth with water. Use the clove essential oil remedy 1-2 times daily for maximum results. The benefits of green tea are not unknown to us. It is very useful in giving protection from several cardiovascular problems and even cancer. But, do you know that it is equally beneficial for oral health? Well, studies has already shown that green tea can actually become a promising product in oral health mainly because of it being anti-microbial and having antioxidant properties. So, if you use it to relieve your sensitive tooth pain, I am sure you will be hugely benefited. As per several study reports, green tea mouthwash is very effective especially for dental conditions like gingivitis and if you do it on a regular basis, it will help you reduce the sensitive tooth pain as well. So, all you need to do is to make a cup of unsweetened green tea and use it as a mouthwash two times on a daily basis for maximum benefits. Last but not the least, if you want to permanent relief from toothache, then you should include plenty of vitamins in your diet. This may not be an immediate remedy for relieving you of toothache but vitamins are needed for overall oral health and it will keep your teeth and gums strong, which in turn will prevent the occurrences of frequent sensitive tooth pain. You should include Vitamins E and B in your diet as these are the best antioxidants and possess anti-inflammatory properties which will help soothe the inflammation and its accompanying pain very effectively. 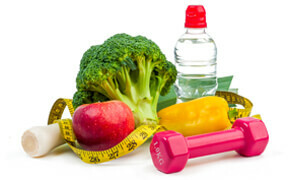 To get these vitamins, you may like to include spinach, almonds, kale, fish, poultry, turnip, eggs, dairy etc. in your diet in adequate amounts. However, apart from the vitamin rich food items, there are other foods as well which are very much effective to keep your gums healthy and strong. You must also include these in your diet for maximum dental protection. Here’s a detailed post that talks about the best foods for healthy teeth and gum and I suggest you to check this post and include these foods in your day to day diet. You came to know about the natural home remedies to relieve sensitive tooth pain, but if you take good care of your oral health, then, in all possibility, you can avoid experiencing toothaches. And, since prevention is always better than cure, I will be giving you some tips on how to prevent the toothaches easily. If you know that your teeth are sensitive and you want to prevent toothaches, then I think you must use good desensitizing toothpaste. This is because such toothpastes contain compounds that help in shielding nerve endings from the irritants. The most active component here is potassium nitrate which helps to block the signals of pain travelling from the nerve of your affected tooth to the brain. The second tip is to maintain a good oral hygiene by keeping your mouth and teeth very clean. This will also decrease the chances of oral pathogens occurring inside your mouth. Try to use a brush that is softer because it will help to prevent abrasions and irritations. Besides incorporating the healthy foods in your diet, it is preferable for you to try to avoid the consumption of acidic foods and beverages and prevent dissolving your tooth enamel. If you have the habit of grinding your teeth at night, then make sure that you use a mouthguard while going to sleep. Also, do make frequent visits to the dentist so in case of any dental, it can be sorted out in its early stages. Over to you: how do you prevent severe tooth pain? Those who suffer from frequent toothaches know how unbearable this pain is. You literally feel helpless. But, thankfully, there are natural ingredients that possess pain healing effects and can give you fast relief from the tooth pain. People who have sensitive teeth are prone to dental pain. And today, we discussed about a number of best natural home remedies for sensitive tooth pain. These are great remedies to ease out tooth pain and most of their effectiveness has been proven by science. I have myself used many of these remedies and it has worked for me. If you are suffering from toothache, then try some of these remedies as these can be very helpful in easing out toothache. Now, in case your problem is too severe, you will have to consult a good dentist but if you continue using these remedies side by side, I am sure that you will be getting faster results. However, if you still have doubts in your mind then you can also consult about these methods with your doctor and then use the methods accordingly. But if you are visiting a dentist, then it’s always better to follow the advice of your doctor. But, knowing how to prevent the occurrence of toothaches is equally important and so you also need to prevent and protect your teeth. I have also given some preventive tips today. You can refer to these as well for maintaining a perfect dental care routine. What do you do to get fast relief from sensitive tooth pain? Which remedies do you use to ease out toothache? Feel free to share your remedies and tips to get rid of tooth pain by commenting below. Lastly, all I want to say is continue supporting us by liking, commenting and sharing the posts with others because any kind of encouragement from you means a lot to us.